The text is slightly inaccurate, because in fact from 1873 to 1875 the school was based in another building (at 130 Walton Street). MR. J. H. THOROGOOD, fifteen years and a-half Master of S. Mary Magdalene [sic] Boys' School, Oxford, having purchased suitable Premises in Walton-street, intends, on Sept. 29, 1873, OPENING a PRIVATE SCHOOL, in which he hopes to give to the Sons of the Middle Classes a thoroughly good and sound English Education. Pupils will be prepared for the Civil Service and Oxford Local Examinations. Prospectuses, &c., can be obtained of Mr. Thorogood, S. Mary Magdalene School House, George-street, Oxford. BEDFORD HOUSE SCHOOL, 130,WALTON STREET, OXFORD. Similar notices published over the years show that terms started January, April, and August. The results of the school in the Oxford Local Examinations are published each year, as well as the yearly prize-giving. Mr. Thorogood would have been glad to have invited the parents and friends of the scholars, but the present premises are too small to allow of that. He has, however, secured a site from the President and Scholars of St. John’s College, and he has in course of erection a large room, class-room, and offices, &c., sufficient to accommodate 100 scholars; it is hoped that these will be ready by Easter. 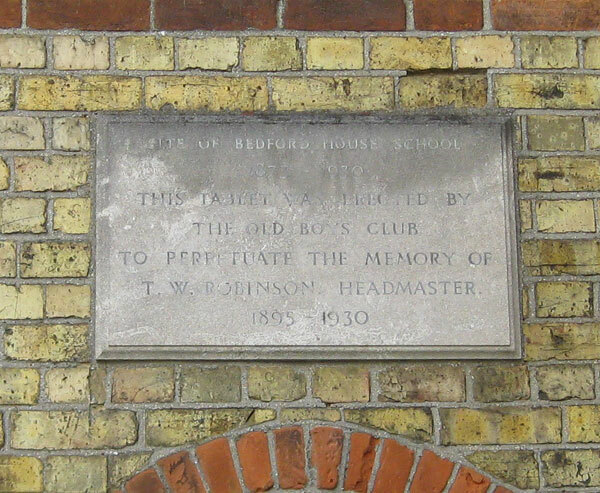 A new School in Walton-street, built for Mr. Thorogood, Master of the “Bedford House School”, by Mr. Joseph Hall, was opened on the 22nd of May last. The School, which is built of brick, with stone facings, is spacious, and there is a large playground at the back, together with all the necessary offices. John Harris Thorogood, who lived near the school at Bedford House itself (135 Walton Street), remained Principal of the school until the summer term of 1895. Thomas William Robinson took over as the second (and last) Principal in the autumn term of 1895. At the time of the 1911 census he was aged 50 and living at the school with his wife Martha and four of their children: Harry (24) was a bank clerk; Hilda (23) and Leonard (18) were assistant teachers; and Ronald (13) was at school. Their eldest son Harry William Robinson (born 1886) died at Somerville War Hospital on 9 November 1918 and is remembered on the war memorial in St Giles's Church: biography. The school closed in 1930, and Thomas William Robinson, whose address was then 34 Frenchay Road, died at the Radcliffe Infirmary on 15 January 1934 at the age of 72. The building was used as a Somerville College lecture room until the mid-1950s. 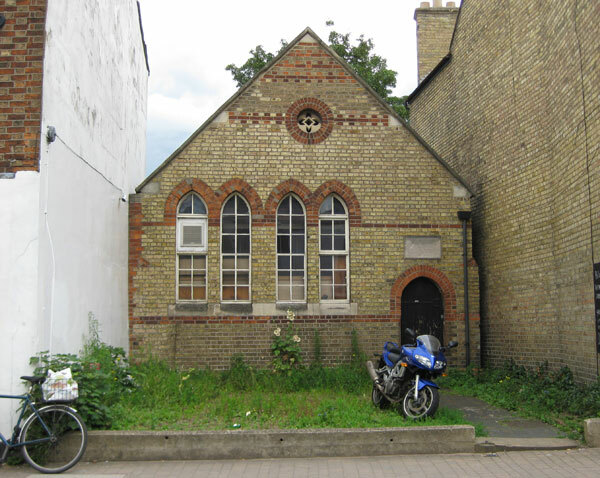 Between 1973 and 1976 it is listed in Kelly’s Directory as St Paul’s Sunday School. * The former Bedford House School is today numbered 122 Walton Street (which is logical, as it stands between 121 and 123 Walton Street, and the the street has the old-fashioned type of consecutive numbering). It is not usually numbered in old directories, however, and when it is, it is given the number 121A. In the 1911 census it is numbered 123.